One perfectly tragic Halloween costumes for a big mouth Pisces. Today, not once but twice I opened my mouth and caused some friction between some people I care a lot about. To me, it’s a big deal. To them, it may also be a big deal. But in my head I am making it up to be like they will hate me forever for it. Even when I know within a couple of days it will just be a thing of the past. Why do I do this to myself you ask? One, because I am a Pisces and we love all things tragic. Two, I am a woman and we love all things tragic. …and three because by opening my mouth I may have ruined what was one of my happier days in a very long time. So what do I do when I am bummed out and sad? I grab all the bad junk food I can, ignore my phone (minus looking at it every ten minutes in the hopes that those two people will call/text/message me and let me off the hook.) and watch my favorite sad love movie. And for me that movie is Moulin Rouge. It’s a tragically perfect mix of beauty, freedom, truth and love. Not to mention I may or may not have a small thing for Ewan McGregor. Alas, someone else already owns my heart so it will never be but a girl can dream, right? Sorry Ewan, Maybe in another life. 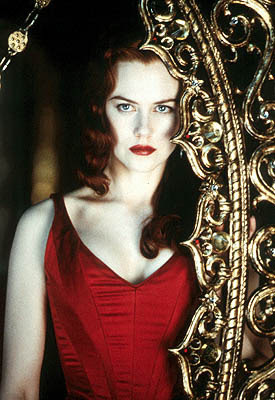 But I still think I would make a good Satine for Halloween this year. Especially in her infamous red dress. If only I could sucker someone to play Christian for me it would be a complete set. But at this rate I think I will end up just being a lonely Courtesan. Anyway, back on topic and out of my head. If you have not watched the movie please do. And in the meantime here is a clip of my all time favorite song from the movie preformed by Glee. I want to note that although I love the original with Nicole and Ewan I think it fit perfectly for the characters of Blaine and Kurt on the show Glee and they killed it with their amazing voices. I also support all gay rights. There for, If you don’t share my views that love knows no bounds then feel free NOT to watch. Sorry guys but you don’t have to agree with something to see the beauty in it. …I really need to learn to keep my thoughts to myself and my damn mouth shut. On that note, I am going to go google dress patterns and torture myself by going back to checking my cell ever five minutes again. I think in life we take words for granted. I mean, how many times have we heard the words “I’m sorry” from someone but knew that their only empathy was that they made you feel wronged. Not that they truly felt remorseful for their actions. If I had to pick the most over used phrase it would be, hands down “I love you”. Said so frequently, it looses its meaning and simply becomes an obligatory phrase. Growing up I can count on one hand how many times this was said to me. But not once did I feel unloved. My Father said it to me twice my whole life yet I have yet to know anyone who loved me more than him. From him taking a moment to pick on me to tickling the back of my neck as he passed I just knew his love was unconditional. He took time with me, made sure I was safe when I was scared and always made sure I knew he was just a call away. Only one other person has ever come close to making me feel so safe. The one thing that gets to me is when people think the words are enough. They are never enough and that’s my point. To show someone you truly love them you have to work at it. You have to give of yourself, forgive often and know that sometimes a loving gesture such as holding someones hand is all it takes. And for those of you wondering how you will know if your really in love with someone? When you find yourself willing to give up your pride and what ever it takes to make the other person happy, even if it cost you your own happiness…. 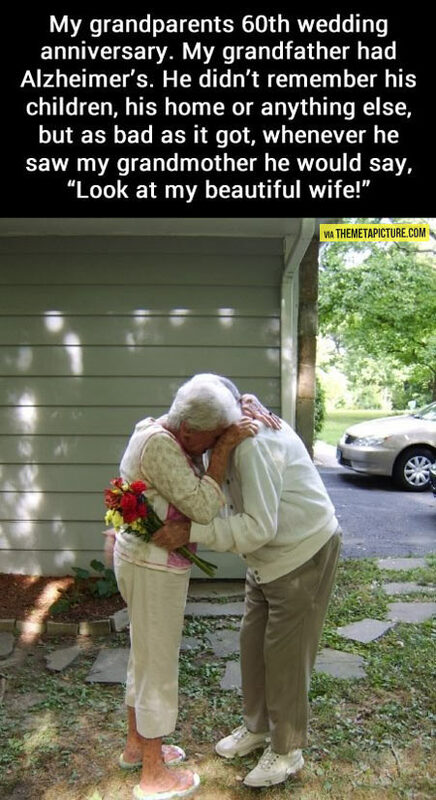 Dear readers, if you are so blessed to be in love or love someone go to them today and show it. Put in the effort and take time out of your life to just let them know they are your universe. And if the two of you have fallen on troubled times, just let all of it go and make sure they know that no matter what is said that your love for them is real. We live on borrowed time my friends and not a second of that should be wasted on pride or foolish misunderstandings. In the end, it’s all just words. I know that’s what I plan to do today. It’s what I look forward to doing every day. Is just letting those I love know they mean everything to me and I love them from the bottom of my heart. Even when I don’t say a word. Walk the walk after you talk the talk…. At some point, it all makes sense. Follow MissMap on her journey by clicking here!